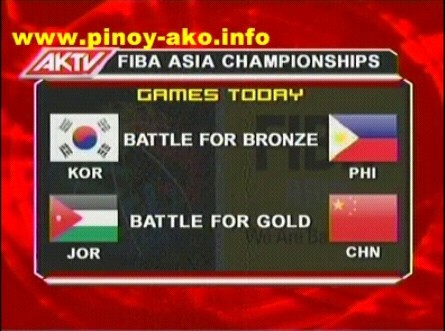 This is the game replay of the Smart Gilas Team Pilipinas vs. Korea in the FIBA Asia Championship 2011 battle for the bronze medal last September 25, 2011 (Sunday). Was it just a coincidence that they choked while Olsen Racela was the guest commentator? haha! yeah i think that's true.olsen felt the same, back where he was on the line.but better luck nxt time.